Ok people, how about getting back to talking some baseball, not arging whether or not we need to fire the manager after 28 games. Here’s a monthly feature that I like to do, breaking down the Nats rotation performance and analyzing matchups for the previous month. Grade A: 6-7+ innings, zero earned runs. Grade B: 6-7 innings, 1-2 earned runs. Grade C: 6 innings, 3 earned runs and run-of-the-mill numbers of walks/hits and strikeouts. Grade F: 4 or fewer innings, more earned runs than innings pitched. In each letter grade case, adjustments slightly up or down are made based usually on hits+walks and/or Ks (or lack thereof). More Ks may push the grade to an N+, a slew of extra hits/walks may drop the grade to an N-, where N is the letter grade division. (Note: I won’t repeat this each month; it is just for explanatory purposes for the first post of the year in this series). 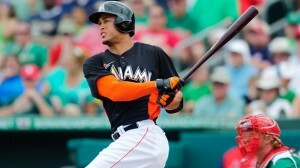 Strasburg’s 4/10 win over the Marlins. Line: 6 2/3s, 1 run on 3 hits, 1 walk and 12 Ks. He gave up the run but 12 K’s pushed him to the A+ rating. 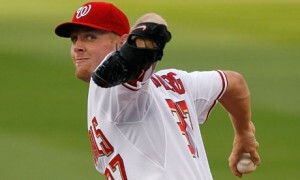 Strasburg’s 4/25 win over San Diego: 7 shut-out innings giving up 7 hits and a walk with 11 K’s. Roark’s 4/26 shutout over San Diego: 9 innings, 3 hits, 1 walk, 8 K’s. Strasburg: C,D,A+,F,B+,A+. 2-2, 4.24 ERA, 1.412 whip, 2.30 fip, 53/12 K/BB ratio in 34 innings. Roark: C+,D-,C,A-,A+. 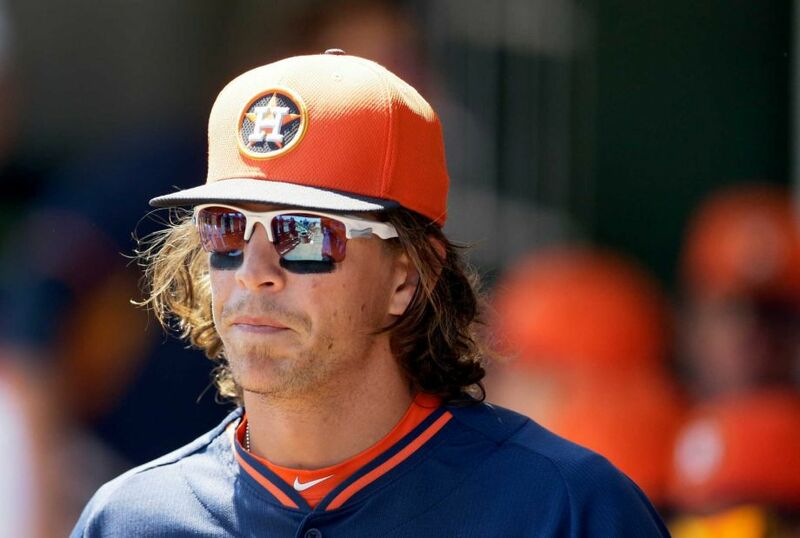 2-0, 2.76 ERA, 1.163 whip, 3.43 fip, 26/9 K/BB in 32 2/3 innings. 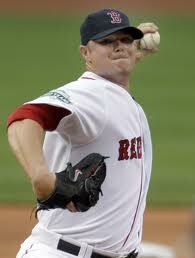 Jordan: A-,D-,F,D,B-/inc: 0-3, 5.61 ERA, 1.636 whip, 4.48 fip, 17/8 in 25 2/3 innings. 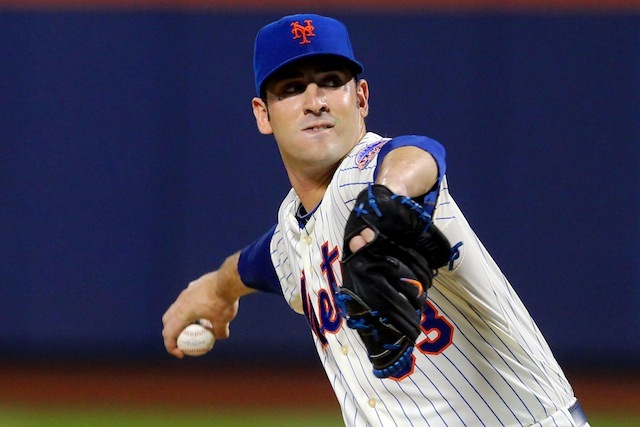 Gonzalez: A,A,D-,A,C-,C+: 3-1, 3.25 ERA, 1.139 whip, 2.90 fip, 38/13 in 36 innings. Zimmermann: A,F,A-,B,C+,A: 2-1, 3.27 ERA, 1.333 whip, 3.09 fip, 35/8 in 33 innings. Tanner Roark turned around his slower start and has “won” the 5th starter competition, which extended a month into the season thanks to Doug Fister‘s spring training injuries. Taylor Jordan’s letter grades bely his crummy overall stats; 0-3 with a 5.61 ERA, a 1.63 whip and a 4.49 FIP. Lets hope Jordan can get it turned around in Syracuse and provide cover for the next injury. Gonzalez leads the staff in ERA while Strasburg leads the staff in FIP on the back of his amazing K/9 rate (53 K’s in 34 innings for an astounding 14 K/9 rate, which leads the league right now for qualified pitchers). 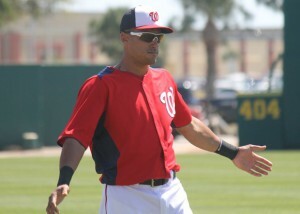 Zimmerman keeps on plugging away, mixing in good outings with bad ones; lets look for more consistency from him in May. I think its rather interesting that our three power arms are all seemingly abandoning the whole “pitch to contact” mantra so far; all of their K/9s are above a K per inning. And Strasburg’s is just ridiculous. Do you think maybe Strasburg is tired of his defense throwing away outs and he’s just saying, “I’ll do it myself” to some degree? I think if I had to rank our own rotation in terms of effectiveness I’d go Gonzalez, Strasburg, Zimmerman, Roark and Jordan. In other words, almost identically to our rotation order. The team finishes the month 16-12, on pace for 93 wins, despite the injuries to the offense and the generally awful defense so far this year. Their Rotation Order intra team: the opening day starter for a team is their “#1” and the other four guys are ranked 2-5 as they appear in the opposing rotation. Their Ranked Performance intra-team: at the time of their series with the Nats, the 5 starters on a team are ranked 1-5 on pure in-season performance. The guy with the best season stats at that time is ranked #1, the guy with the worst #5. Their Subjective League-Wide “Rank” as a pitcher: a subjective look at whether the opposing starter is a league wide “Ace,” a near-Ace or #2, and the like. I also kept track on a night-to-night basis a quick opinion on whether I felt the Nats had the Starting Pitching Advantage (or if it was an even-matchup, or if I felt the opposing team had the pitching advantage) and tracked how we did. (Note: a “5+” pitcher means a starter who was not on the opening day roster for a team. We’ll see a ton more 5+’s as more starters go down with injury and are replaced by minor league call-ups). Not all #1 starters are made the same, nor are #5 starters. The team actually holds a winning record against opposing team’s #1s and #2s (which you normally do not see), but scuffled against other team’s #4 starters. Of course, Shelby Miller and David Hale are not ordinary #4 starters, but you’d have liked to have seen wins against the likes of Clayton Richardson and/or Eric Stults. The team got a great win over Jose Fernandez but lost twice to Atlanta’s ace Julio Teheran. Not the end of the world, but they need to do better (obviously) against Atlanta pitching. In other words, the Nats are 2-4 against opposing teams’ best pitcher at the time of the series, 2-4 against the opposing team’s 2nd best performing pitcher at the time of the series, etc. This is a slightly better way of seeing how the Nats perform against the opponent’s hottest hand at the time. Notice here that Aaron Harang is given much higher credit for his 2014 performance than his rotation order rank may merit him. The team (as one would expect) is struggling against the best and 2nd best guys on opponent’s teams, but are beating up on the rest of the rotation. This is a good sign frankly; you need to win when you go against the other team’s struggling starters. As the season goes along the team should stabilize and be able to hold its own against the best guys on other teams. In other words, the Nats are 2-1 against MLB “Aces,” 2-1 against MLB “near aces” or #2’s, etc. This table really shows how the team has truly done against the elite pitchers in this league. We can argue in the comments section about my subjective ranking of pitchers as being #1s, #2s, or whatever. For comparison purposes with our own team talent-wise, I have Strasburg as a league-wide #1, Gonzalez and Zimmermann as #2s, Fister as a #3, Roark and Jordan as #5s. Aces are few and far between; you’re far more likely to see a bunch of #4s and #5s on opposing teams. It is of note that a 5+ starter can be a complete crapshoot; he could be a 4-A pitcher just giving the team innings or he could be the team’s #1 starter prospect and can be as effective as a #2 starter right off the bat. 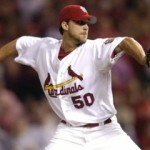 So far, the team has beaten a couple of aces and had expected losses versus the likes of Adam Wainwright and Teheran. Slightly concerning is the record against what I consider #5 pitchers in this league, though to be fair Harang and Tyler Skaggs certainly are not pitching like #5s right now. In games where I thought Washington had the clear starting pitching advantage head-to-head, the team went 10-6. I’ve listed the match ups for each case so you can decide whether we really had the advantage. In games where I thought the pitching matchup was even, the team went 3-1; this is a good sign. Three of these four matchups involved Roark or Jordan. In games where I thought our opponent had the clear advantage heading into the game, the team went an expected 3-5. Most of these matchup involved either Roark or Jordan. It is interesting to note that Jordan struggled .. but he also had a number of very tough matchups in April. 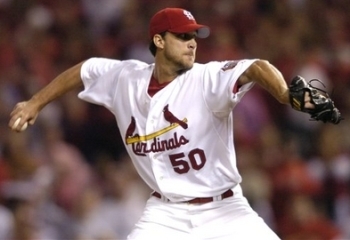 He had to go against Alex Wood twice, Ian Kennedy, Adam Wainwright and Tyler Skaggs. For a guy with just a handful of starts, that was a tough slate of matchups. So, as discussed above, Jordan has had some tough matchups. But Roark had to go against three staff Aces in April and still came out with a winning record. Despite a couple of shaky outings the team was 5-1 when Gio pitched. Lastly we can see that Jordan needs to be replaced; the team was just 1-4 in his outings and you’d have to think that they wouldn’t have a losing record when Fister throws. The Nats have beaten up on weak teams and faltered against good teams. And it only gets tougher from here; they’ll face Philadelphia’s 1-2-3 in order in early May, then entertain Los Angeles and their two Cy Young winners. Later on this month they visit the cavernous Oakland stadiums and go up against three different playoff calibre teams in Cincinnati, Pittsburgh and Texas. Lots of good pitching matchups to be seen.